These two boats share the same hull. 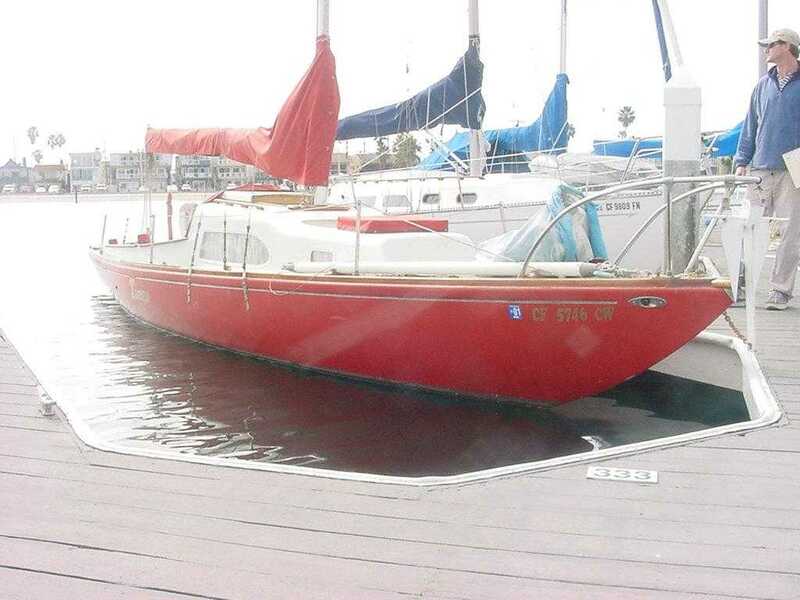 The 5.5 was the open cockpit racer/daysailer and the Sabre was the same hull fitted with a cabin and cruising accomodations. 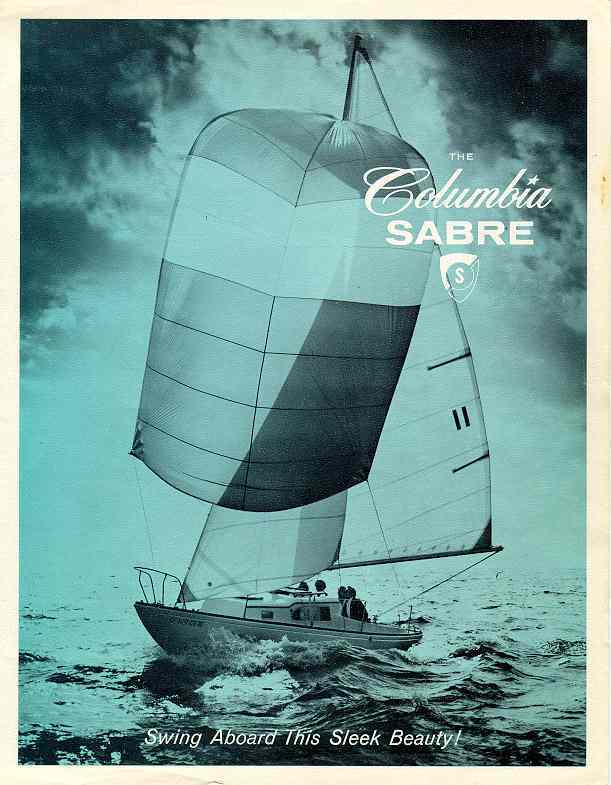 As with some of the other early Columbia models, the 5.5 and Sabre were gone from the Columbia lineup by 1969. The following descriptions come from a brochure or buyer's guide from July 1966. This sleek one-design racing sloop and daysailor was designed for the most discriminating yachtsman who loves the combinatio of top performance and beautiful sailboat design. By taking Sigurd Herburn's original 5.5 meter hull design "Carina" and adding International 5.5 World Champion George O'Day's "Minotaur," Columbia naval engineers created the Columbia 5.5. Molded in fiberglass we have created one of the most sophisticated racing yachts in this country at less than one-half of what an "Open 5.5" would cost. A real "One-Design" that performs with the same speed and characteristics as "The International 5.5." The International 5.5 Meter website. and the 5.5 Meter Fleet USA Website. Northern California Class Association 5.5 Meter website. Your February article on the Columbia 5.5 design deserves some comments as to how the class came about. I was a college student in Southern California in the early '60s when I saw an ad for a 5.5 Meter located in Newport Beach. At that time, the 5.5 was the largest and only open design class racing in the Olympics. Being an Olympic aspirant myself in the Finn class, and having never even seen a 5.5, I thought I'd take a look. I never found out why Mosbacher had brought Carina to the West Coast, but when I saw her she had not been used for quite a while and was in need of some TLC. I made an offer that I thought they would laugh at - and ended up with the boat. She dressed up beautifully, of course, and in the ensuing years I sailed her all over the Southland when I wasn't competing in the Finn. However, the only organized racing I could do with Carina was PHRF, and that was not what a onedesign racer like myself or a thoroughbred like Carina was particularly adept at. But I have some great memories of sailing Carina. Unique among them was a slide from the West End of Catalina to Alamitos Bay on a typical summer afternoon. Carrying the oversized spinnaker in a 25-knot westerly with an enormous rolling swell provided a thrill that was truly awe-inspiring. 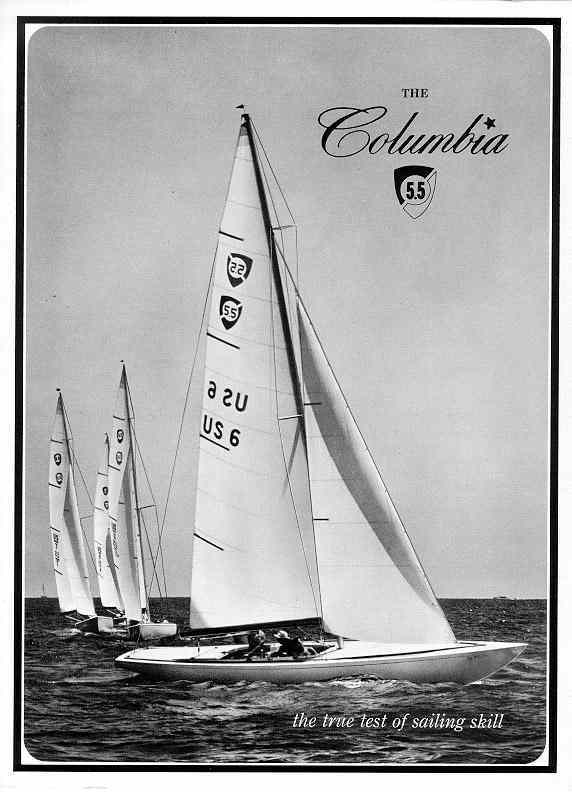 During the second or third year I owned the boat, Columbia Yachts contacted me regarding their desire to use Carina to strike a mold for a one design class. 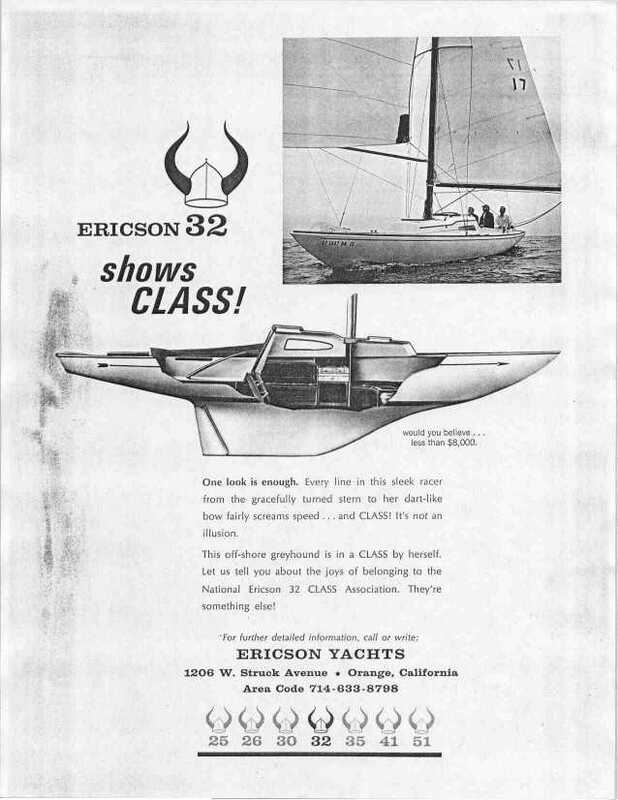 Their objective was to come up with an alternative to the popular PC class, a boat of similar proportions that had been built in Kettenberg's San Diego yard since the early '30s. Columbia Yachts had originally tried to buy George O'Day's Minotaur, the radical gold medalist in the '56 Olympics, but they could never come to terms. Carina was a convenient and probably more sensible solution, so they used it. It pleases me to no end to see that now, some 40 years later, the class based on a boat I owned lives on. 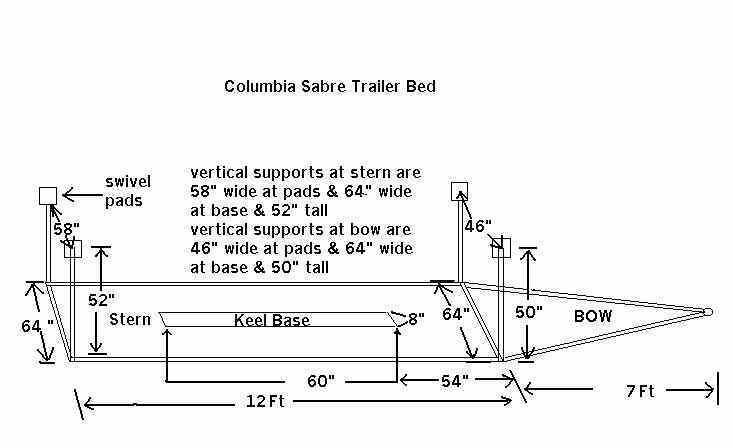 Sabre, the Columbia 5.5 Meter, with cruising accommodations! Here is an Olympic class racer with separate staterooms, 4 berths, head, galley, ice box, and storage lockers. The Sabre has caught on as an ocean racer as well as a local fleet racer and daysailer. She has a well-balanced responsive helm. The roomy 8 foot self-bailing cockpit keeps you dry and comfortable. She is big and powerful, rates high with approximate C.C.A. of 27.0, but she can sail. In open races they will know you are there as you go by larger more costly yachts on the windward leg. Reaching and running can be a ball as well. This is a sophisticated yacht at a down-to-earth price. Tango, Brad Haney's '64 5.5 Sabre. For those of you who, like me, know little about the history of yacht racing, here is some info sent in by Jeff Halpern of Annapolis. It give some good background about why the 5.5 and Sabre came into being and why they didn't last. The 5.5 meter class was a very highly refined international class derived from the International Rule (not to be mistaken for the IOR). Like the 12 meter, 8 meter and 6 meter the 5.5 meter was a development class rather than a one design class. At that time the 5.5 meter was an olympic class. The boats were all one off, wood, and very expensive. Because of the olympic status there was talk of trying to reduce the costs of the boats by either standardizing the design or allowing fiberglass boats. The story that I have always heard was that Columbia wanted to have a boat ready when F.G. was approved so they tooled up and showed the boat at the New York Boat Show. The problem is that the 5.5 meter class did not approve going to F.G. leaving Columbia with an orphan. They tried to sell the boats as one designs and daysailers. It didn't work. 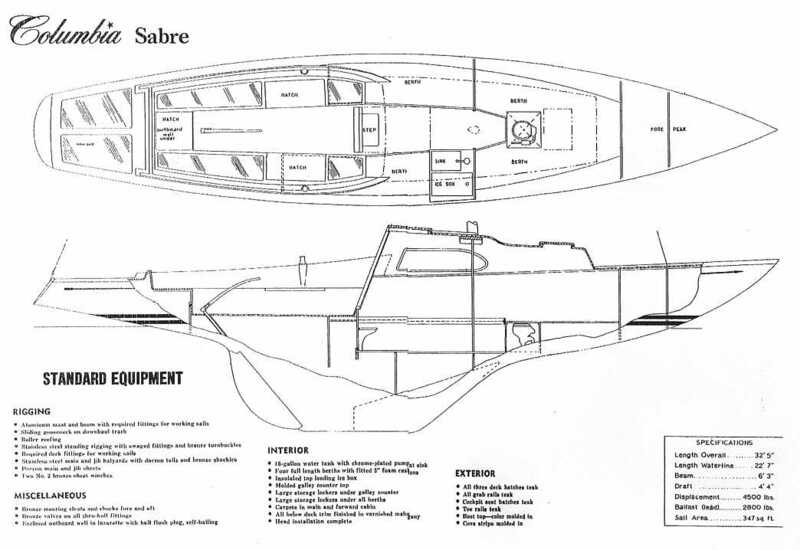 Stuck with the cost of tooling they put a cruising boat deck on the boat and I believe called it a Sabre. There are a few here on the Chesapeake. I just bought a 1963 5.5 meter, US 15... The boat is one of six 5.5 meters that make up the fleet here on Lake Pontchartrain in New Orleans. Once upon a time, the fleet was quite active, but currently only races once or twice a year. Most of the other 5.5s are more or less looked after but not sailed much. I intend to change that. My boat was fleet champion for several years and, despite almost complete inactivity for the past 5 years, is in remarkably good shape , both structurally and cosmetically. She has many original parts (magic console, pushbutton snap shackles, etc.) and is still the original Kodak-esque yellow-gold that she was when she left the factory in Costa Mesa. Currently I am planning to restore her and race her against the other 5.5s whenever I can motivate them, and PHRF her the rest of the time. I am an avid racer, but I'm much more interested in restoring and enjoying her as a beautiful vintage daysailer/racer, than in trying to turn her into the ultimate racing machine. Alameda Yacht Club at Fortman Marina is holding the Columbia 5.5 Nationals July 17 & 18, 2004. Entry forms were available at the club, or call Mary Higgins at (510) 748-0289.